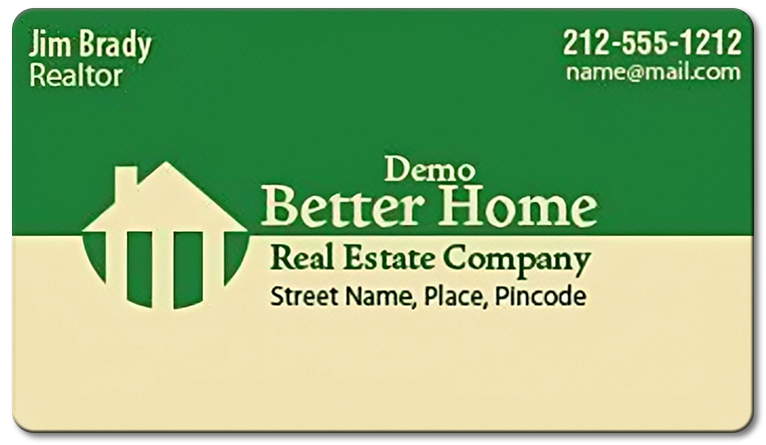 When other promotional products fail to produce response for your real estate campaigning, you can easily do it with these custom 2x 3.5 real estate business card magnets round corner -25 MIL. This magnet is cost effective and beautifully shows up from over refrigerator doors or other visible surfaces within home or office. These funny and value effective promotional business card magnets work great for real estate marketers working in all budget sizes. Free art setup, free online design and free shipping can be availed on these business card magnets. Request a quote to know discount that may fall into your kitty on bulk ordering these customized 2x3.5 real estate business card magnets round corner – 25 MIL.